I have been using multi-effects for about a year now, but I wanted something more. I just assembled my first pedalboard. What do you guys think? 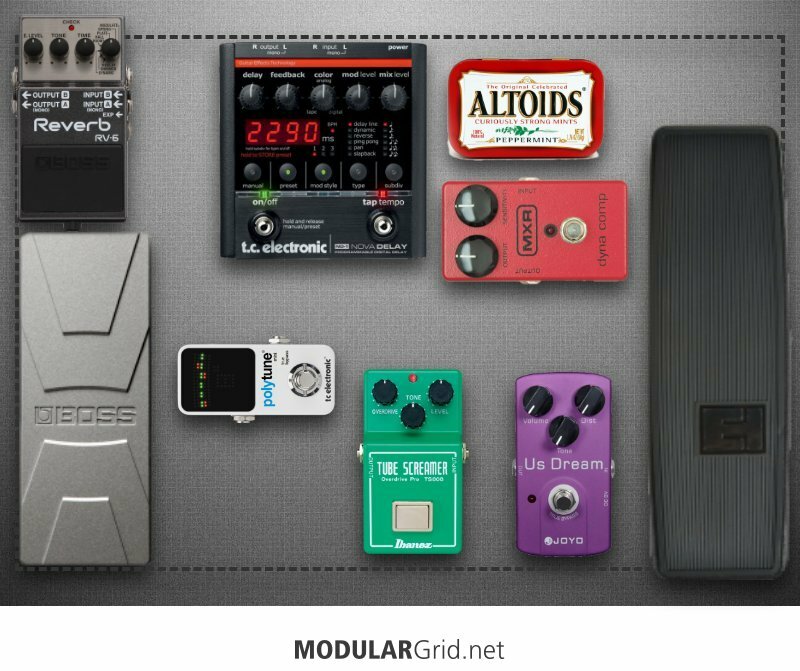 A suggestion: check out Temple Audio's line of modular pedalboards, which allow for some extra user-definable submodules in spaces along the sides. One of these is a 1-3 mult, which would easily allow you to parallel some of this instead of straight-lining the entire rig. They also have an active buffer submodule that would make for an excellent buffering option for that.